A new initiative has been launched with the aim of improving social care services quality. The launch of the Quality Care Campaign (QCC) campaign is expected to coincide with the government Green Paper on social care, which is due this month. 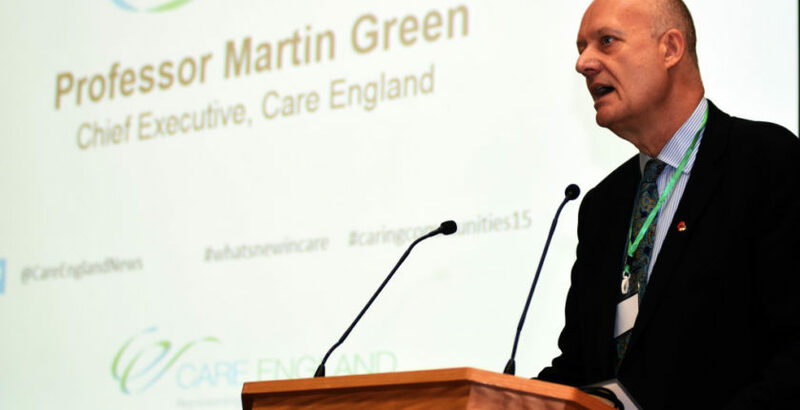 Professor Martin Green OBE, Chief Executive of Care England, (pictured) said: “Everyone within QCC is passionate about establishing the best ways of delivering of the highest possible standards of care and outcomes for those in the social care system. Run as a collaboration between Care England, recognised social care experts and a leading care home inspector, QCC aims to recognise and highlight instances of exceptional care whilst simultaneously challenging local commissioners and policy makers to deliver high quality care services in line with the Care Act 2012. In 2017, research commissioned by Independent Age (a charity providing advice and support for older age), found that 90% of MPs in England believed that the social system is both unfit for purpose and unable to deal with the UK’s ageing population. The charity also reported that at least 20 local authorities in England were ignoring the Care Quality Commission’s ratings and placing people in poor quality homes. Martin added: “Care providers are under increasing pressure to retain staff, maintain quality and stay in business, all whilst providing high standards of care to a growing number of patients. QCC strongly believes that the best way to both assess and assure the quality of care services is through regular inspections, which themselves are underpinned by examination and validation from an independent, recognised authority.